We strive to provide an affordable, quality constructed systems-built home or development that is a more efficient, timely process along with more project cost control than one encounters with conventional on site stick building. 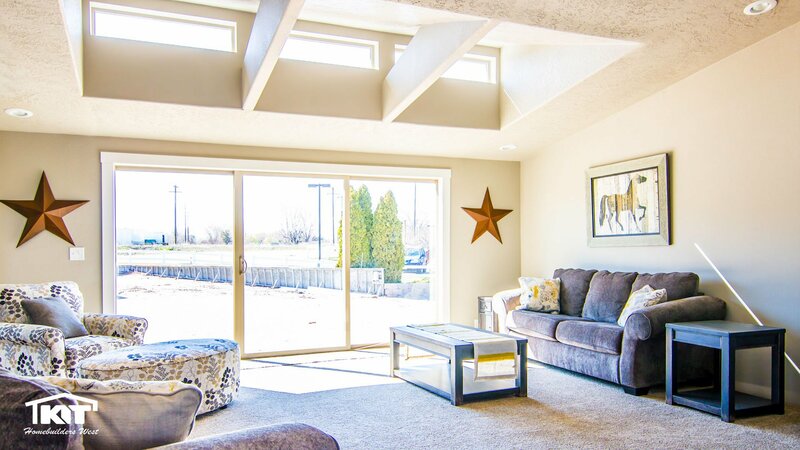 Your new home or building is built within the confines of a climate-controlled factory setting protecting your investment of quality materials and consistent, quality craftsmanship, backed with local ownership & local service from BIG MOUNTAIN DEVELOPMENT & HOMES. A modular/ manufactured home is merely the accepted terminology for a single-family home built in a factory setting. Today's factory built homes are constructed by experienced craftsmen, skilled in every aspect of the building process. In other words, they’re skilled journeymen at their chosen trade. Today's prefabricated homes are built to a rigorous set of construction standards that address every aspect of the home. 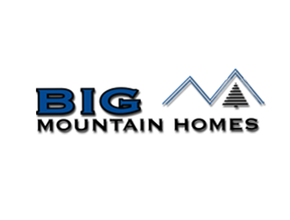 From the initial planning stages to the ultimate move-in date, Big Mountain Homes has one goal in mind: to guarantee the highest level of safety and construction in your next manufactured home. For those home buyers looking to purchase a specific model built in a factory setting, inclement weather is no big deal. Saving valuable time, money, and effort, factory-based construction – as you might expect – is not dependent on good weather. While remaining dry, factory production also reduces theft, minimizes damage, and eradicates vandalism. While eliminating unforeseen loss due to theft and bad weather, this process also reduces nuisance expenditures related to ensuring stability, security, and consistency throughout the construction process. These savings on materials translate directly into greater affordability for the homebuyer. 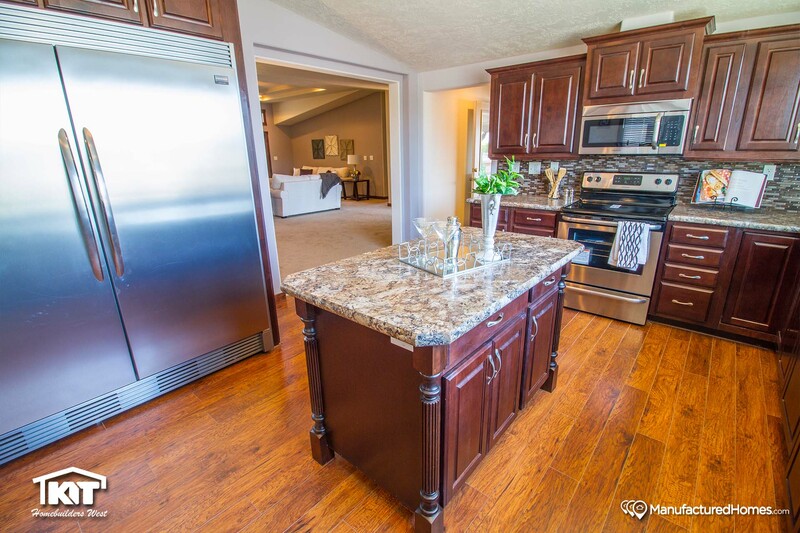 Today’s manufactured homes can be shipped with top-of-the-line brand name appliances. Custom add-ons like fireplaces, decks, and porches are now also easily achievable. Advances in the building process have allowed manufacturers to produce homes in a wide array of architectural styles. 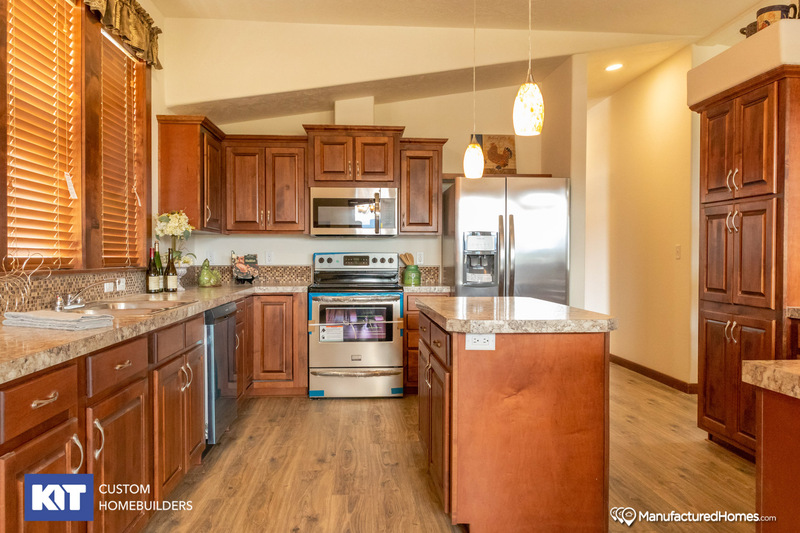 While homebuyers can choose from many pre-existing floor plans, they can also customize the layout of their new home to fit their budget, taste, and lifestyle. 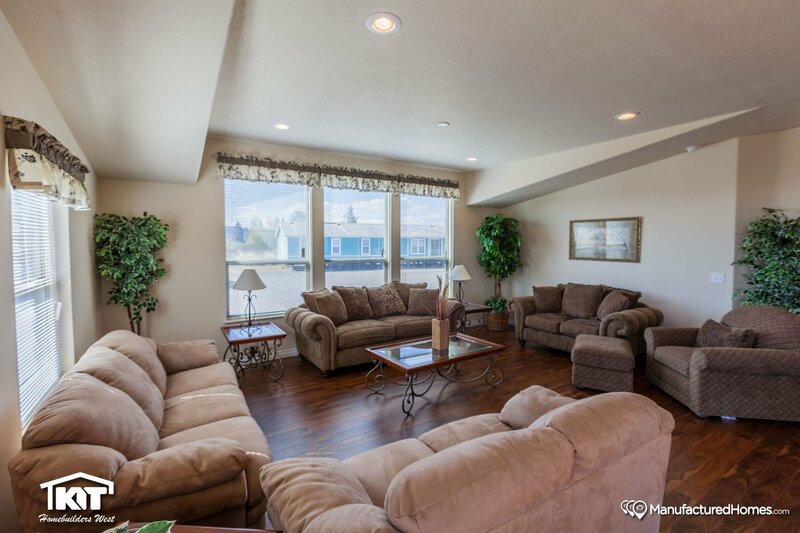 Manufactured homes are customizable to a degree that leaves traditional stick-built homes at a disadvantage. 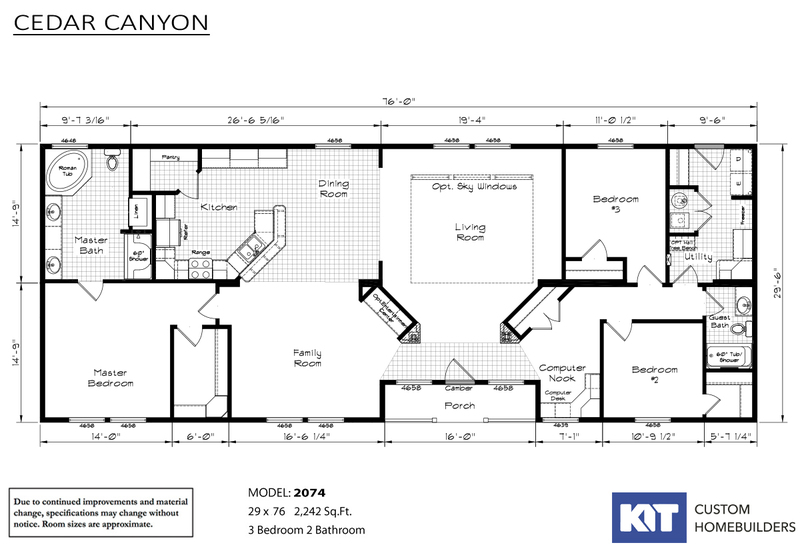 3 Bdr / 2 Bath / 1770 sqft. 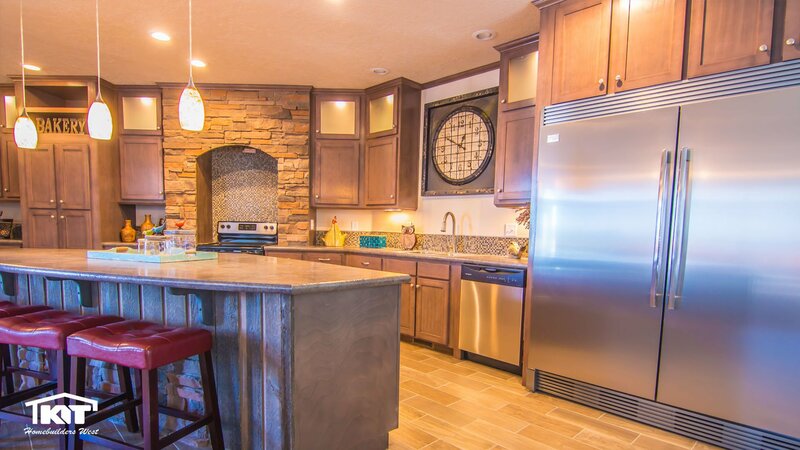 This Cedar Canyon 2057 is another example of the fine craftsmanship of KIT Custom Homebuilders. See your local KIT retailer for more information. 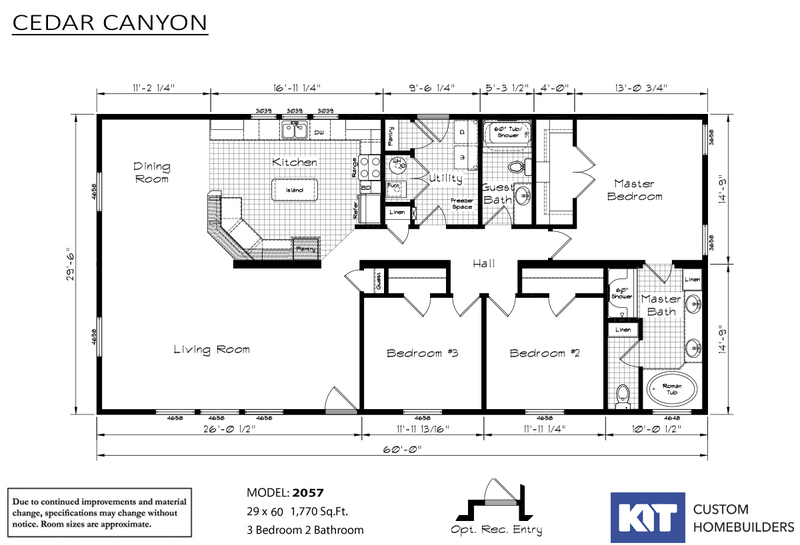 All Cedar Canyon homes are available is the LS series. 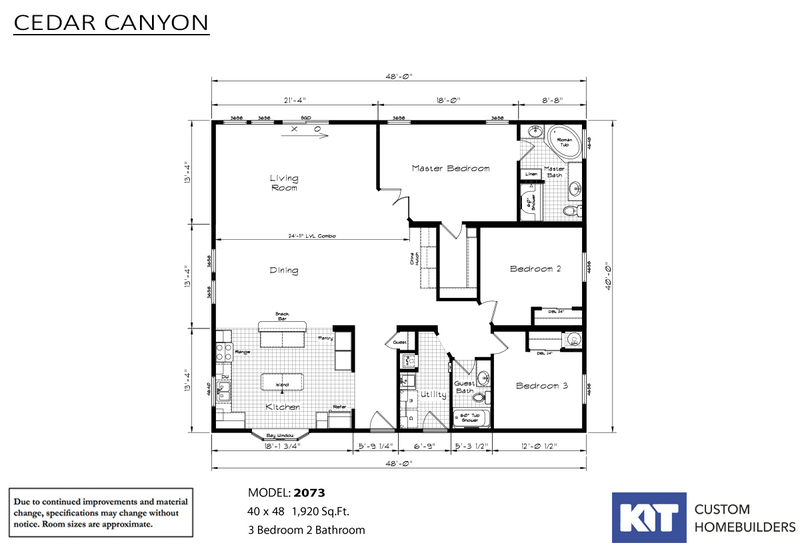 3 Bdr / 2 Bath / 1920 sqft. - The Cedar Canyon 2073 is another fine example of Kit's commitment to quality and endurance. 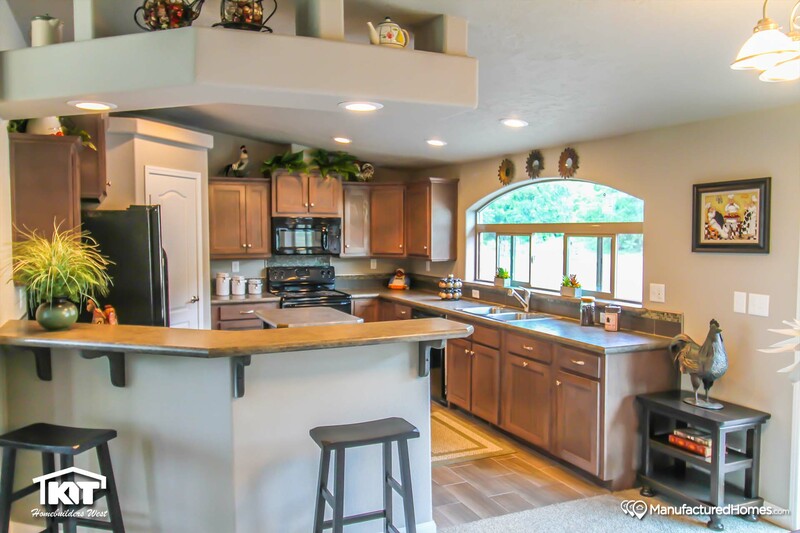 Take a 3d tour of this home by clicking on the 3d tour logo. They gave me a great price on a lot model and handled all of the logistics involved with trucking a home that far and setting it up. The entire project went perfectly and the entire crew were professional and made what seemed like an overwhelming task easy. 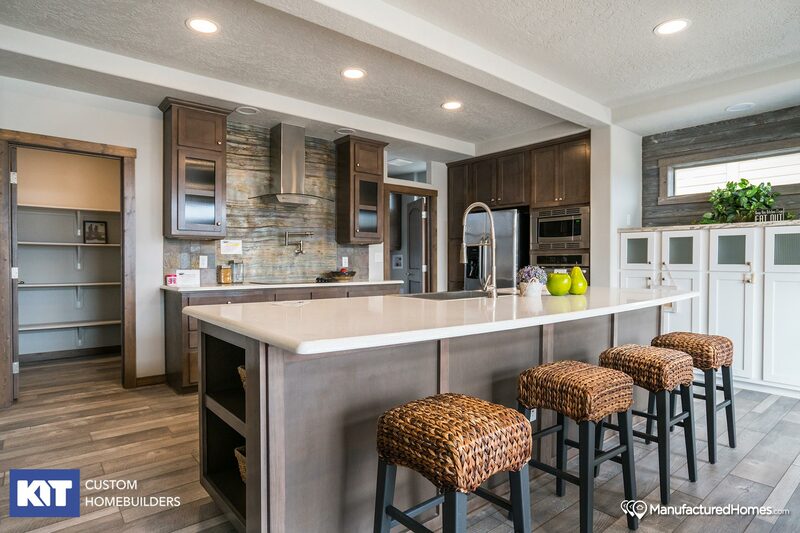 Big Mountain Homes offers its potential homebuyers in the state of North Dakota affordability, convenience, and a commitment to service. Whether our customers choose Manufactured Homes or Modular Homes, we have the knowledge and the ability to make their dreams a reality.